The woman is recognized by Islam as the full and equal partner of the man in the procreation of humankind. He is the father, she is the mother, and both are essential for life. Her role is not less vital than his. By this partnership, she has an equal share in every aspect. She is entitled to equal rights, she undertakes equal responsibilities, and she has as many qualities and as much humanity as her partner. 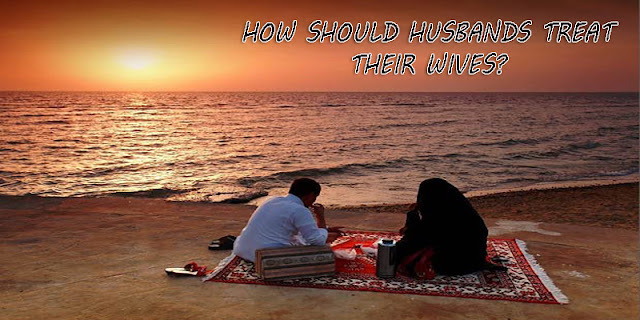 Moreover, the relations between the spouses in Islam should be based on tranquility, love and mercy. Commentators on the Qur’an understand this to mean that husbands and wives are for mutual support, mutual comfort, and mutual protection. Tranquility, love, and mercy summarize the ideals of Islamic marriage. It is the duty of the husband and wife to see that they are a source of comfort and tranquility for each other. They should do everything physically, emotionally and spiritually to make each other feel happy and comfortable. They must care for each other. They should not harm or injure each other, either physically or verbally. In order to increase the tranquility and comfort in their relations and in their home, they should love each other and be merciful and kind to each other. In fact, Islam has honored woman and granted her an equal status with man. Moreover, a woman can excel a man by obeying Allah, drawing near to Him, and perfectly fulfilling her religious duties. Here, it is worth mentioning that the first one to believe in the message of the Prophet Muhammad (peace be upon him) was Khadijah bint Khuwaylid (may Allah be pleased with her). Fatimah, the daughter of Allah’s Prophet, is the best of all women on earth (in all generations). Moreover, many women have made great contributions to Islam and Islamic history has witnessed many of women’s honorable stances. It is not permissible for the husband or any other person to treat women except in a good and kind manner. They cannot say to them anything but only good and kind words. A husband who treats his wife in the manner stated in the question is contradicting Islamic teachings. Islam enjoins husbands to treat their wives kindly. The Prophet (peace be upon him) used to seek the counsel and advice of his wives, play with them, travel with them, listen to their opinions, and fulfill all their rights. Here, we can review the well-known stance of Umm Salamah, the Mother of the Believers, when the Muslims concluded the Hudaybiyyah Peace Treaty with the polytheists of Makkah. The Prophet (peace be upon him) ordered his Companions to slaughter their sacrificial animals, but they were too depressed to do that. The Prophet (peace be upon him) gave instructions in this regard three times but with negative response. He told his wife Umm Salamah about this attitude of his Companions. She advised him to take the initiative, slaughter his animal and have his head shaved. Seeing that, the Muslims started to slaughter their animals and shave their heads. The advice of the Mother of the Believers in this situation was very good and highly appreciated. A Muslim should treat his wife with extreme gentleness and love and seek her advice in all his affairs, as this enables one to lead a happy and well-organized life.